HOLLAND, OH, November 20, 2017 /24-7PressRelease/ — The Douglas Company, general contractor, is pleased to announce construction is underway on HRA of Beavercreek, a 122,000 square-foot assisted living and memory care community owned by Confluent Development and HRA Senior Living. 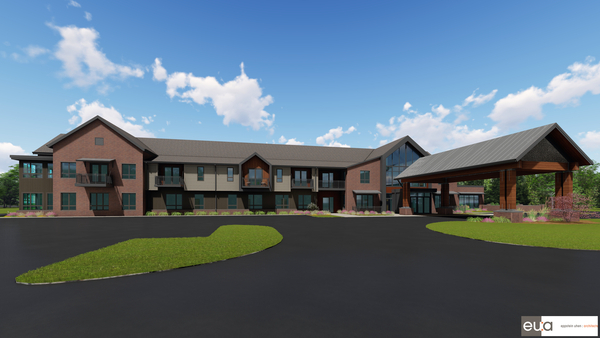 The luxury retirement community will serve the needs of seniors and families in and around the Beavercreek and Dayton area, with 64 assisted living and 46 memory care apartments, with an expected completion date of September of 2018. The $20.8 million community was designed by Eppstein Uhen Architects to bring a new modern standard in senior living to the residents. The two-story contemporary community will feature first-class amenities including a bistro, bar, large dining rooms, multiple serving kitchens, multiple activity areas, salon and pedicure, wellness center, two enclosed courtyards, putting green, outdoor fireplace and seating area, exterior fountains, and several private balconies. “With our experience in senior housing construction, we are proud to be part of the team creating a senior living facility in the Dayton-Beavercreek area that offers an unsurpassed standard of living in both assisted living and memory care to its residents,” stated Andrew Rahrig, Senior Project Manager with The Douglas Company. The Douglas Company is an industry-leading general contractor specializing in senior living and multifamily construction. For over 40 years, The Douglas Company has consistently completed projects under budget and ahead of schedule while contributing to the success of their clients and associates. The Douglas Company, on the INC. 5000 list of fastest-growing private companies, is headquartered in Holland, Ohio with a second office located in Orlando, Florida.